Grennan Appointed CEO/President - Global Diving & Salvage, Inc.
After over 30 years as founders and owners of Global Diving & Salvage, Inc., Tim Beaver and John Graham continue to remain excited about the future of the company. This month, they are pleased to announce the newest chapter in Global’s history; Devon Grennan, President for the past four years, will now also take on the position of Chief Executive Officer. Mr. Beaver and Mr. Graham will maintain ownership and continue to serve on the Board of Directors, but will step down from direct operational involvement. Both founders share in the sentiment, Mr. Grennan is the ideal candidate to continue in the traditions honored by Global; individual pride and professional passion for the craft of diving and marine services, honesty in the workplace and in dealing with clients, and safety in the field. Grennan began his tenure in 1995 as a Marine Environmental Supervisor, moving up the ranks to Environmental Division Manager and by 2005 serving as the General Manager. In 2009, Global formed its senior management team and Mr. Grennan was moved into the position of President. As CEO/President his newest undertaking is to determine the overall strategic plan for the company and lead the senior management team and the Board of Directors in Global’s mission to provide quality marine service and discover new opportunities to better serve the maritime industry. Mr. Grennan received a B.A. in Political Science from the University of Washington in 1995. He has served on the Board of Directors of the Seattle Chapter of the Propeller Club, Board of Directors for North Pacific Fishing Vessel Owners Association and the Spill Control Association of America. 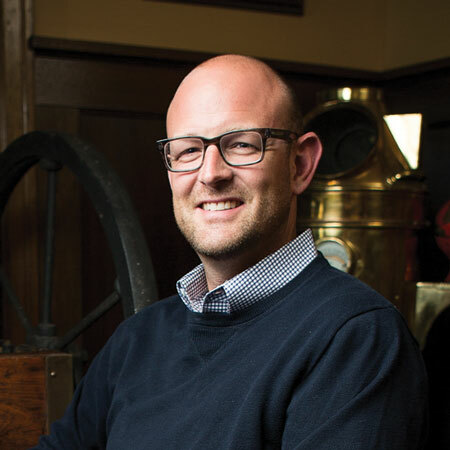 He has been involved with the American Salvage Association as well as the Marine Insurance Association of Seattle.